Modline Building is specialised in architecturally designed luxurious homes from Sydney’s Palm Beach to Gerringong on the South Coast: Architectural extensions, Architectural improvements, Architectural renovations, Luxury home building. Modline Building is proud of its work and it is its commitment to ensure the utmost in quality, cost effectiveness and complete client satisfaction. 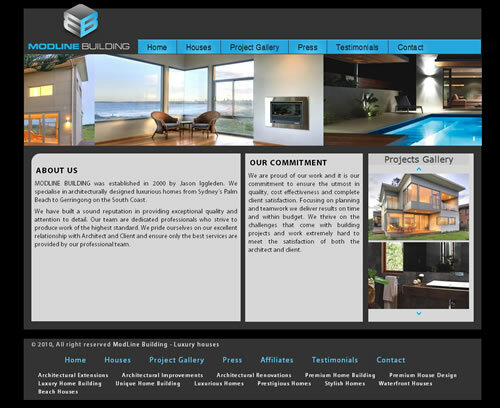 Focusing on planning and teamwork Modline Building deliver results on time and within budget.